The ARK Solar Boat is a creation of Janne Leppänen, an industrial and graphic designer based in Finland. 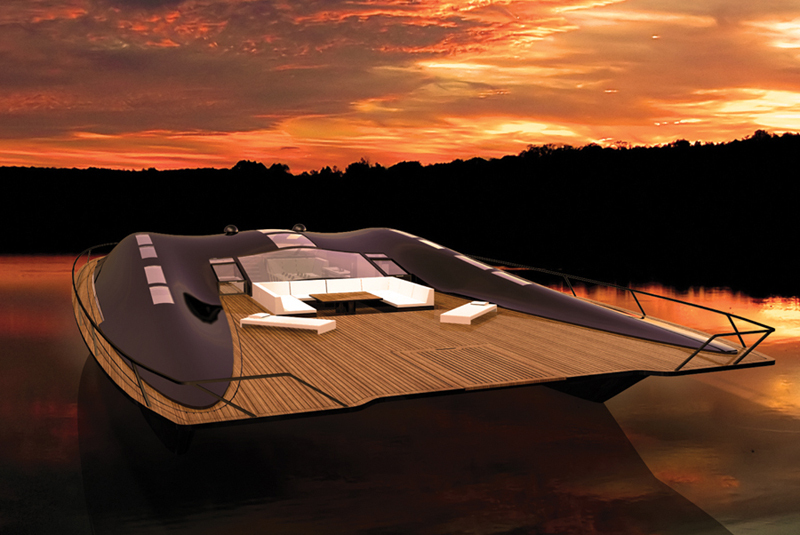 The boat was developed as part of Leppänen's graduation work from the Kuopio Academy of Design. 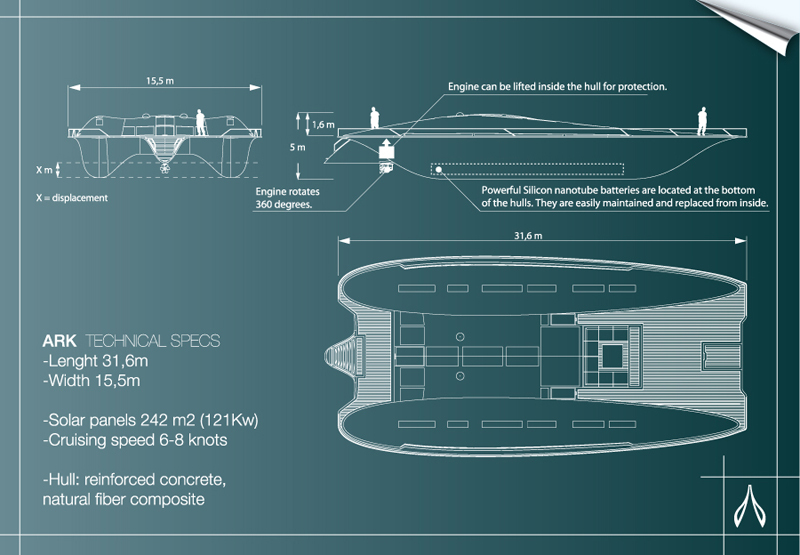 The idea behind the ARK (ARKKI in Finnish) Solar Boat was to devise a new form of watercraft which was environmentally responsible, luxurious and capable of acting as a spacious home. 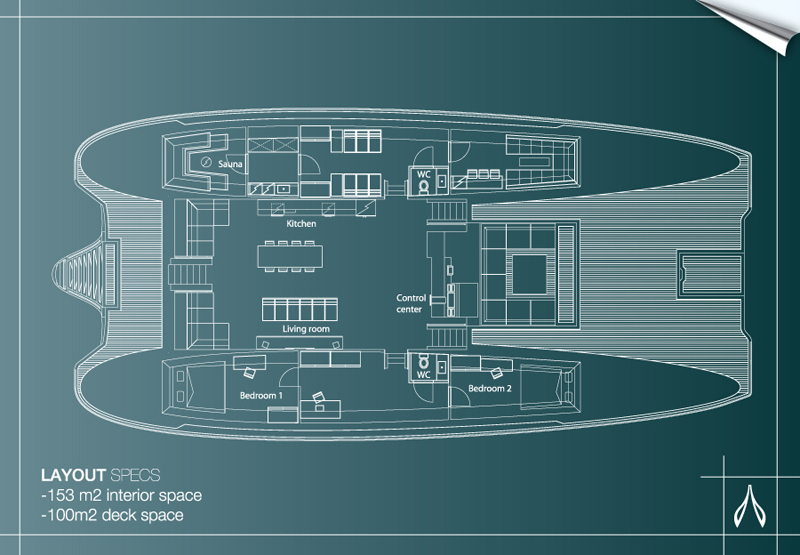 The boat was designed for around 10 years into the future, at a time when many of the cutting edge solar panel and electric technologies which are currently being researched are readily available and the cost isn't prohibitive. The ARK was designed to be used mainly on inland and coastal waters. The powertrain of the ARK Solar Boat consists of solar panels which are subtly integrated into the upper structure of the boat, these charge up the silicon nanotube batteries which are located low down in the hull. Silicone nanotube batteries - which are currently being developed in labs - can store around 10 times the electrical power of comparable sized lithium-ion batteries! These advanced batteries would be used to power the ARK's inboard electric motor. This motor, which is located towards the rear of the craft, can be turned through 360 degrees to provide superior maneuverability. When docked, and the batteries are full, the ARK can be plugged into the electric grid and send its surplus solar energy back into the network. However it's not just the zero-emission powersource of the ARK Solar Boat which is designed with the planet's well-being in mind. 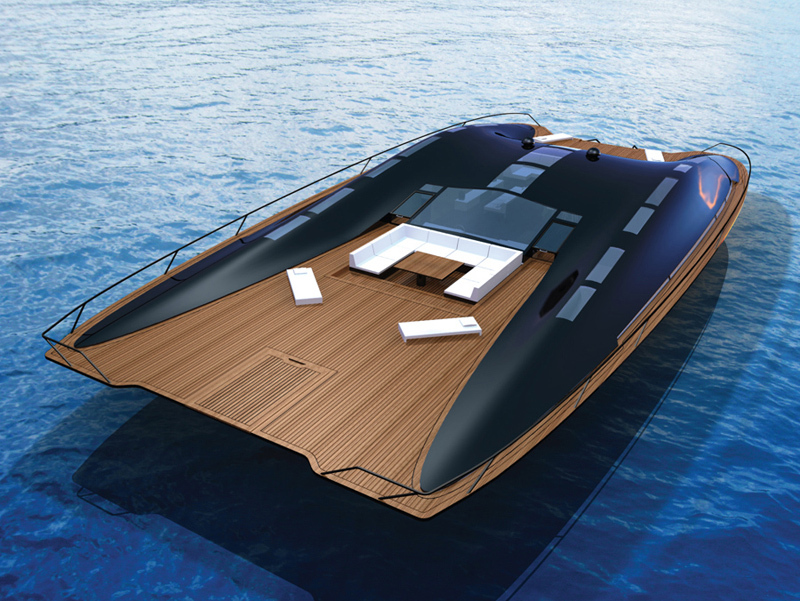 The proposed materials used in the fabrication of the boat are all designed to be either recyclable, or have a lower impact on the environment during their construction. The deck structure is built using natural composite fibers, instead of glass fiber. These natural fibers are also used to make the deck itself, instead of using rainforest woods like mahogany and teak. The hull of the ARK Solar Boat is formed using concrete which is reinforced using natural fibers. Apparently concrete weighs about same as steel. But it's much cheaper to produce, and it can be formed quickly and easily in a mold. Ferro-cement boats aren't anything new, but their environmental credentials have never been researched. Until now. The spacious interior of the ARK Solar Boat features two good-sized bedrooms, two bathrooms, a large kitchen and living room area, a separate sitting room, and even a sauna! Images an information courtesy of Janne Leppänen. Thanks to Gene for the tip.